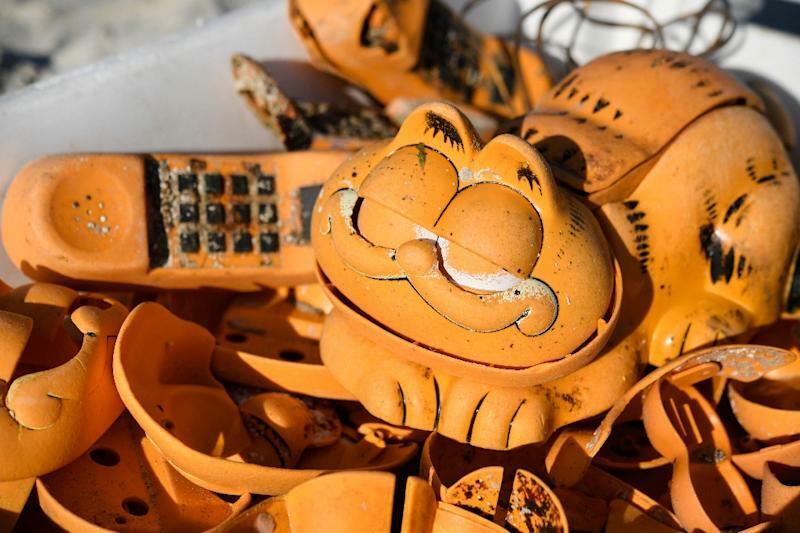 Plouarzel (France) (AFP) - For more than 30 years bright orange "Garfield" phones have been washing up on the French coast to the bemusement of local beach cleaners, who have finally cracked the mystery behind them. 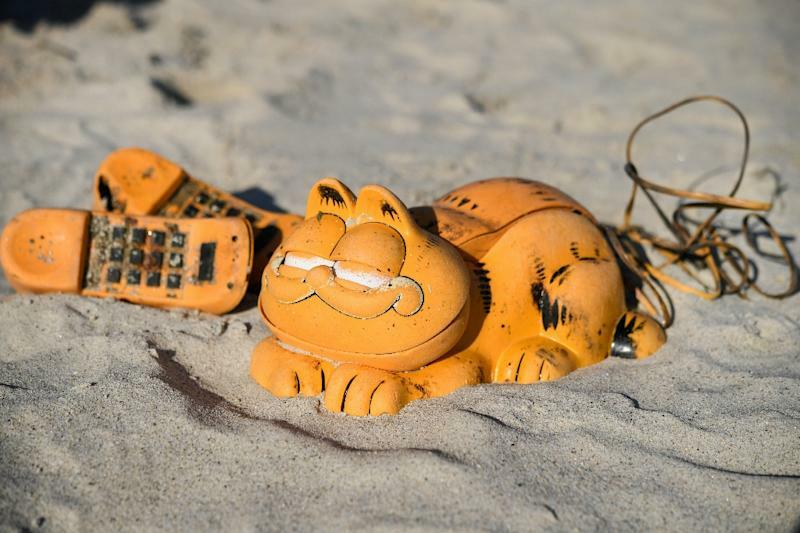 Locals had long suspected a lost shipping container was to blame for the novelty landline phones, modelled on the prickly feline cartoon character, that have plagued the northern Finistere beaches for decades. "We found this incredible fissure that is 30 metres deep and at the very bottom, there were the remains of a container." "Under the boulders in front of the entrance, we found 23 complete handsets with electronics and wires. They were everywhere," she added.